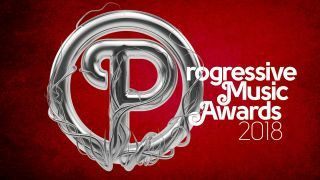 The Progressive Music Awards returns for the seventh year this September. The event will once again be held at the Underglobe in London,on the site of Shakespeare’s Globe Theatre, and will take place on Thursday September 13. In all there are 15 awards up for grabs this year, eight of which we ask you, the readers to vote for, the remaining seven chosen by the magazine’s editorial team, all created with the aim of heralding those artists that have taken progressive music ever onward over the last 12 months. Steven Wilson leads the nominations charge this year, with three nominations, including Best UK Band/Artist and Album Of The Year, while Tony Banks, Big Big Train, Marillion, The Fierce And The Dead, Italian prog rockers PFM, Amplifier, TesseracT, Australian’s Caligula’s Horse, US proggers Perfect Beings, Norwegian’s Motorpsycho and Spanish post rockers Toundra all weight in with two nominations apiece. “I think this year more than any other the categories and nominations offer a wider variety and spread of artists from all over the world than any other year,” says Prog Editor Jerry Ewing. “And that’s testament to the popularity of the genre on a world wide basis. When we started Prog magazine almost ten years ago, we worked with a small group of exceptional specialist labels, and I’m pleased to say we still work with those labels today. But in the ensuing years we’ve seen the music spread, we’ve seen the arrival of all manner of new organisations that we’re now dealing with, from individual bands who deal with their own business on a day to day level all the way through to the biggest multi-national corporate labels. In a tough economic climate, that development is most pleasing to behold and speaks volumes about the strength in depth of progressive music. Readers can vote in the Limelight, Event, Video Of The Year, Album Cover Of The Year, Best International Artist/Band, Reissue Of The Year, Album Of The Year and Best UK Artist/Band categories, while the Outer Limits, Outstanding Contribution, Chris Squire Virtuoso Award, Visionary, Industry VIP, Lifetime Achievement and Prog God Awards are all decided by the magazine’s editorial team. You can view all the nominations over the page and this year we’ve made it even easier for you to cast your votes. There’s no registration for voting. You just head over to the Prog magazine website at and make your choices. We’ll be announcing the host, live entertainment and Prog God over the next couple of issues and readers will be able to find out all the gossip from the ceremony as it happens via the website. And as usual we’ll be bringing you live coverage of the event itself, so make sure you;re logged in on the night. The Prog Magazine Progressive Music Awards souvenir issue will go on sale on September 27.